In the past two years, Killarney Golf and Fishing Club has gone through major changes, with the redevelopment of the flagship Killeen Course, introduction of new PR and marketing initiatives with the introduction of a new Corporate logo, website and other activities and events. In the past few months the Club has seen a new General Manager, Maurice O’Meara take over the mantle from Tom Prendergast, who was Secretary/Manager for nearly 20 years. Today marks another change, with the introduction of David Keating, the new Club Pro who takes over from Tony Coveney who was based at the Club for the past 40 years. So an end to another era at Killarney Golf & Fishing Club and the beginning of another! David joins Killarney Golf & Fishing Club from Charleville Golf Club where he was Pro for the past 10 years. David is a class AAT PGA Professional well known throughout Ireland as being one of Ireland’s leading Club Professionals, specialising in Golf Instruction and Custom Club Fitting. In 2003 David was Callaway Golf Club Fitter of the Year – the first and currently only Irish man to win this prestigious international award. As well as fitting professional players he also custom fits amateur players of all levels and is the official Callaway Golf Club Fitter for the Munster branch of the GUI. David is looking forward to the weeks and months ahead as he develops the new facilities for Golfers at the Club. In the coming weeks, David will be introducing sophisticated computer based technology to the Club which David will use to analyse a golfers’ swing and to determine the ideal custom club to suit each individual golfer. 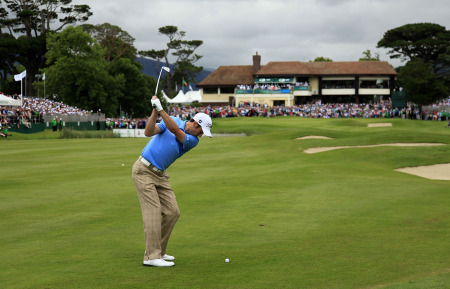 David can be contacted at the Club on (064) 31034 or on email davidkeating@killarney-golf.com.